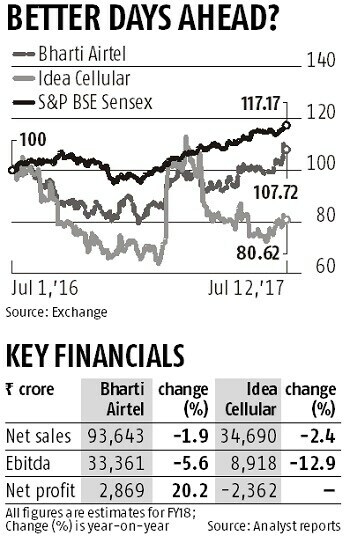 The share prices of Bharti Airtel and Idea Cellular gained on Wednesday, on the expectation of the new rate plans announced by Reliance Industries’ (RIL) telecom subsidiary, Reliance Jio (Jio), leading to improvement in their operating metrics. The price plan announced by Jio on Tuesday is estimated to be 30-57 per cent higher than earlier promotional offers. Brokerages say this is positive and a clear indication of rationalisation of pricing. Analysts at UBS say the first Jio price increase in almost 12 months supports the brokerage view that sector revenues are close to bottoming out, with the top three operators and Jio expected to incrementally take share from smaller entities. Credit Suisse in a note said the new Jio rates would start the process of normalising these from the current discounted levels. Also indicating that RIL is looking at monetising its investment in the telecom subsidiary. Harsh Jagnani, vice-president of corporate ratings at ICRA, says the new plans point to improvement in average revenue per user (ARPU) and that Jio, after grossing 100 million subscribers, is focussing on pushing this up to improve its profitability. Not surprising, then, that the RIL stock has been on an uptrend (15 per cent gain in a month), both on expectation of an improvement in financials of its telecom subsidiary and on better performance from its core oil and gas vertical, as most of the capital expenditure plans have come to an end or are in the last leg. Analysts estimate Jio will make additional revenue of Rs 8,000 crore annually as a result of its decision to hike the rates on its popular Rs 309 plan. With about 115 million customers, of which 80 per cent are active users, Jio, according to sources, expects 90 per cent of these over 74 million (90 per cent of the consumers were on Rs 309) will shift from the Rs 309 rate to Rs 399 a month. For, those consumers who wish to stick to the older rate will have to effectively fork out 48 per cent more for usage each day. While Jio’s modified plan is similar to earlier ones (Summer Surprise and Dhan Dhana Dhan) in terms of benefits, it comes with a reduced validity period, translating to higher Arpu. Naveen Kulkarni and Manoj Behera of PhillipCapital say the effective Arpu under the new plan is largely in line with the industry’s. 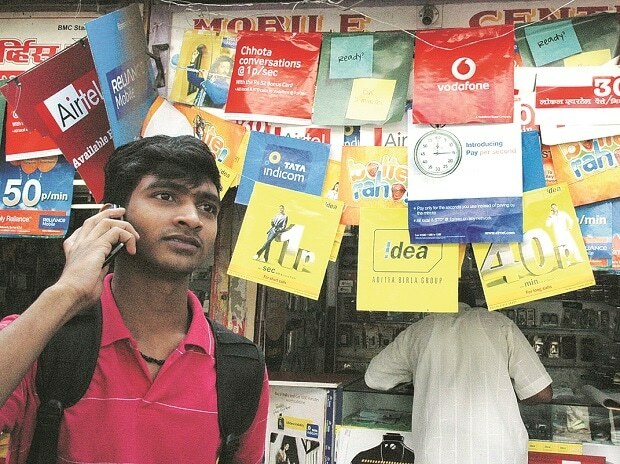 Jio’s, based on the Rs 399 plan, stands at Rs 121, higher than the current industry Arpu but still about 25 per cent lower than the top telecom entities’ estimated Arpu (Rs 138-154) in the June quarter. Though the effective rates have gone up, these are still discounted. And, it will be a couple of quarters before the sector can boast of a sequential increase in revenue. While the June quarter will see operating metrics fall over the March quarter, given weak realisations, the September quarter is a seasonally weak one. Expect sequential gains in revenue to come for the sector in the December quarter. The key headwind that incumbents would have to contend with is the launch of fourth-generation technology (4G) feature phones by Jio. This, said Morgan Stanley, could prove to be disruptive for the large 2G GSM subscribers, 65 per cent of the revenues of top incumbents. Jio’s strategy in the 4G feature phone market emanates from the fact that it is currently seeing a net increase in new customers to the tune of around four million a month, slower than when it started at eight to 10 million customers a month. By entering the 4G feature phone market with a bundled offering which could be between Rs 500 and Rs 1,000, Jio is looking at converting the 400-plus million feature phone customers (who use 2G or 3G) across the country to 4G services. Currently, the company has net additions of 4 million a month compared to the initial 8-10 million. However, this slowdown will get corrected as it expects to target about 100 million customers to shift within 12 months through the offer. The move will also help Jio to boost its net additional customers once again to older levels. The real challenge would be at what rate offering do they bundle the phones.